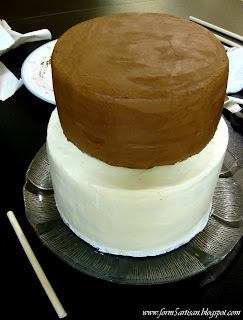 Are you wondering how I stacked the cakes to make that two-tiered Neapolitan Wedding Cake? It can be scary, but I can show you how. No fear. First of all, you need dowels. 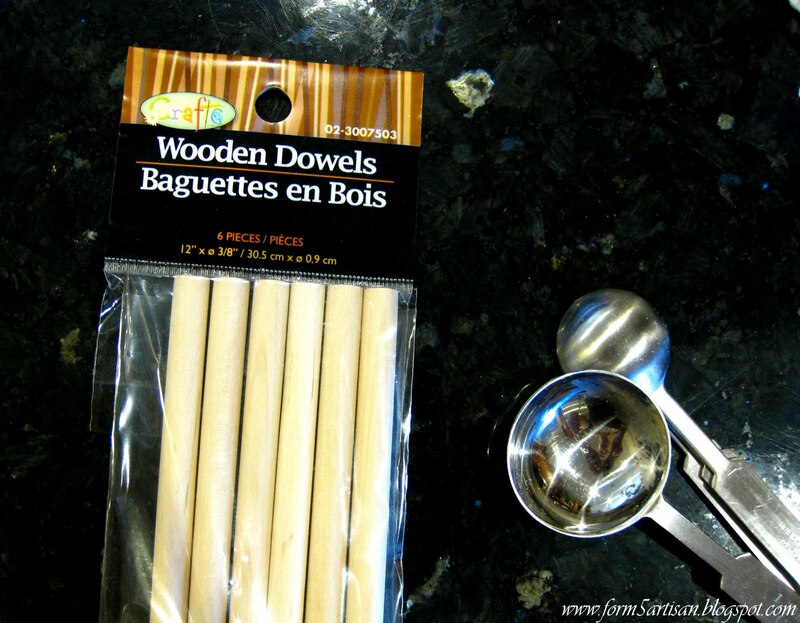 Dowels are solid cylindrical rods, typically made of wood or plastic. These guys are very important in preventing heavy cakes on above tiers from falling into the cakes below them. They provide reinforcement and help to distribute the weight of the cakes. 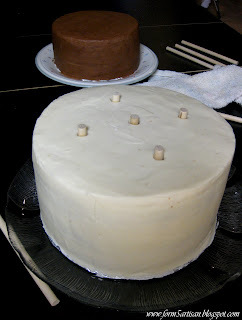 This way, the top tiers are resting on the dowels rather than the cake below it and you won't have to worry about sinking, sagging or leaning. That would be messy...very messy. I don't like messy. Just as important as dowels are corrugated cake boards. Each individual cake needs to be set on a cake board for extra support and again, to distribute the cake's weight. Don't stack cakes without these or there will be sinking cakes with dowels jetting out through them. Disastrous. 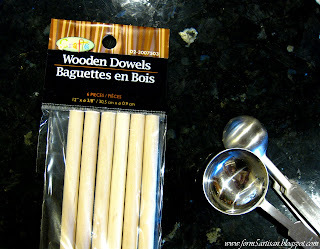 Wooden dowels can be cut at or just above the height of the cake they are being shoved into. To do this, shove a dowel into your perfectly frosted and chilled cake (scary, I know) and mark the height with a sharpie. Remove the dowel and cut it at the line. I used a bandsaw to do this. Yes, a bandsaw. My Dad owns lots of tools and sometimes it comes in handy to have him around. Thanks, Dad. Use this dowel as a reference to cut the rest of the dowels (I used 5 in total). Make sure the dowels are spaced evenly and arranged within the diameter of the cake that will be placed on top of them. For this cake I cut the dowels slightly taller than the bottom tier in order to give the final cake more height. Yes, this means there will be a gap between the two cakes, but that's ok because I will cover it up with a thick frosting border. See? I told you it would all be ok. Now the cake becomes a canvas for whatever decorations your brain can think up. 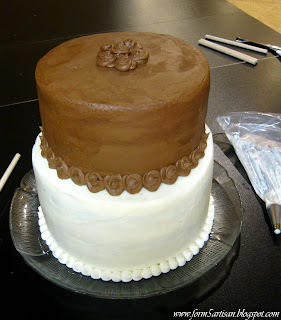 A good tip is to keep your cake cold in order to make it easier to decorate and prevent smudging your smooth frosting. Now that you know all this, I expect you to go make a wedding cake. Go. Do it. Do it now. Btw I got some awards for ya! too bad nobody i know is getting married. haha. yours look phenomenal tho! Ms. Messy Chef - running a marathon? That's wonderful! I'd like to run one of those - a big fat cake would be a great way to celebrate too! You might be able to use some hefty garden shears to cut the dowels. Good luck!